From this week's Simpsons. Homer plays Halo. 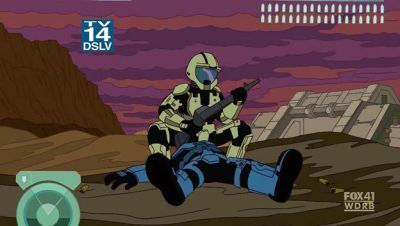 "Right after I finish desecrating this corpse..."
Probably seen this, but soooo worth it. Bunky, give you any ideas?